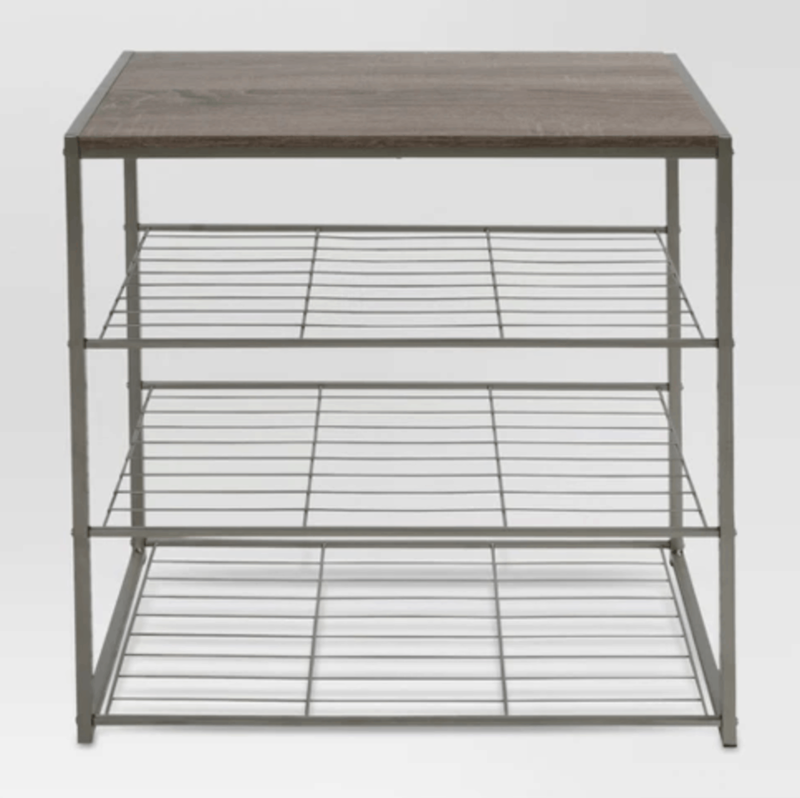 For the third part in the College Dorm Room Shopping series, I am going to focus on storage. If you missed the first two parts of the series, check out our posts on college dorm room bedding and college dorm furnishings. Why are storage containers so important to shop for? Dorm rooms are usually tiny – way smaller than you’d probably expect, and therefore you’re going to need to find ways to store all your stuff in order to maximize your space. Also, if you love fashion, you’re going to need enough room to store all your clothes, shoes, and accessories. Dorm room closets are usually not very large, so you need to get creative with your storage choices. 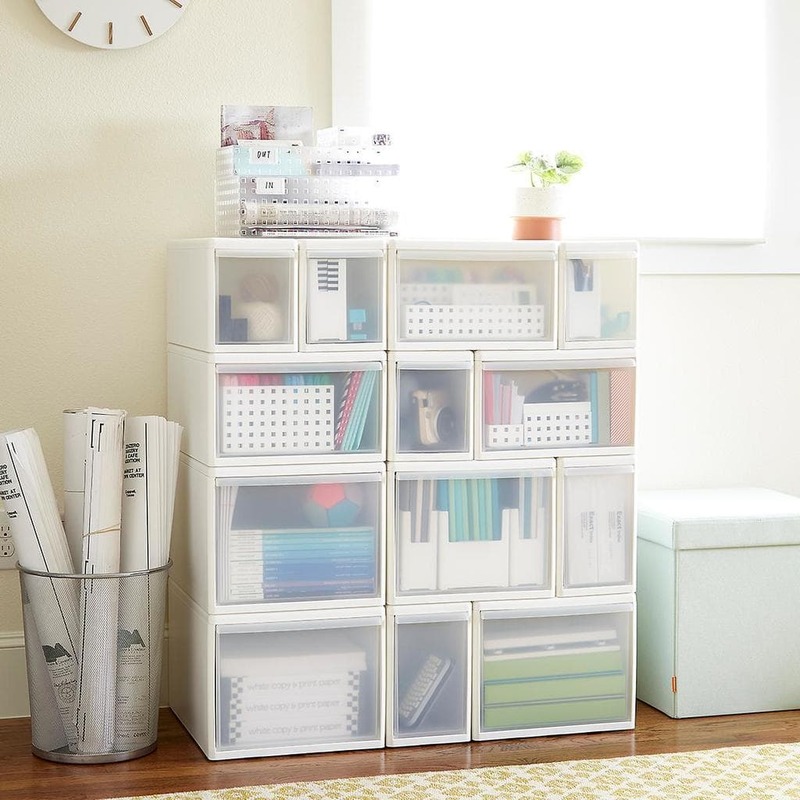 Fortunately, there are tons of great options when it comes to shopping for storage solutions, and there are lots of ways to hide your stuff creatively. Go vertical. 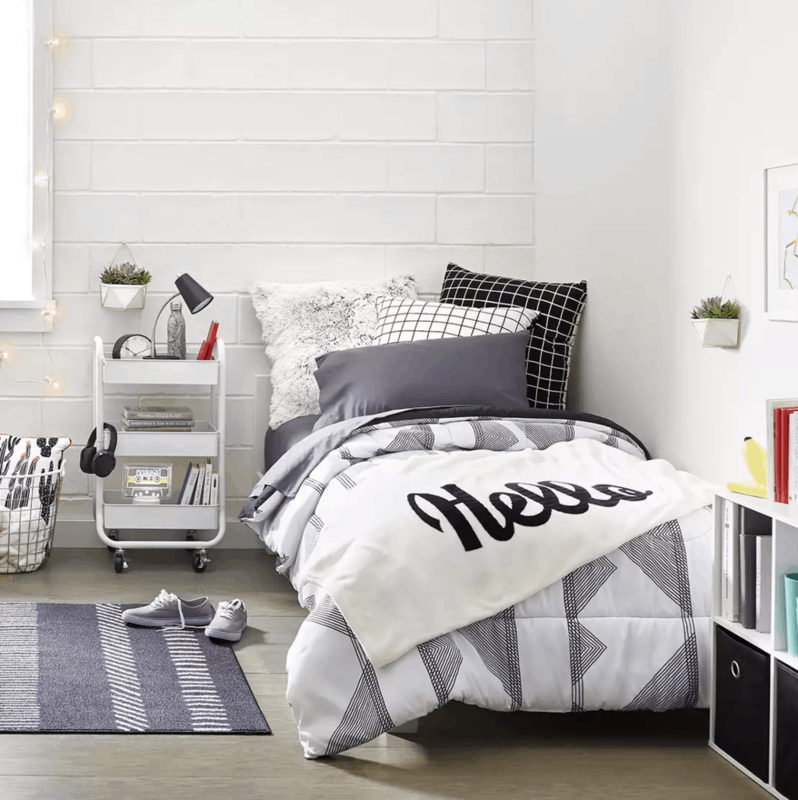 Horizontal space is limited in a dorm room, so you are going to want to maximize every inch you have. 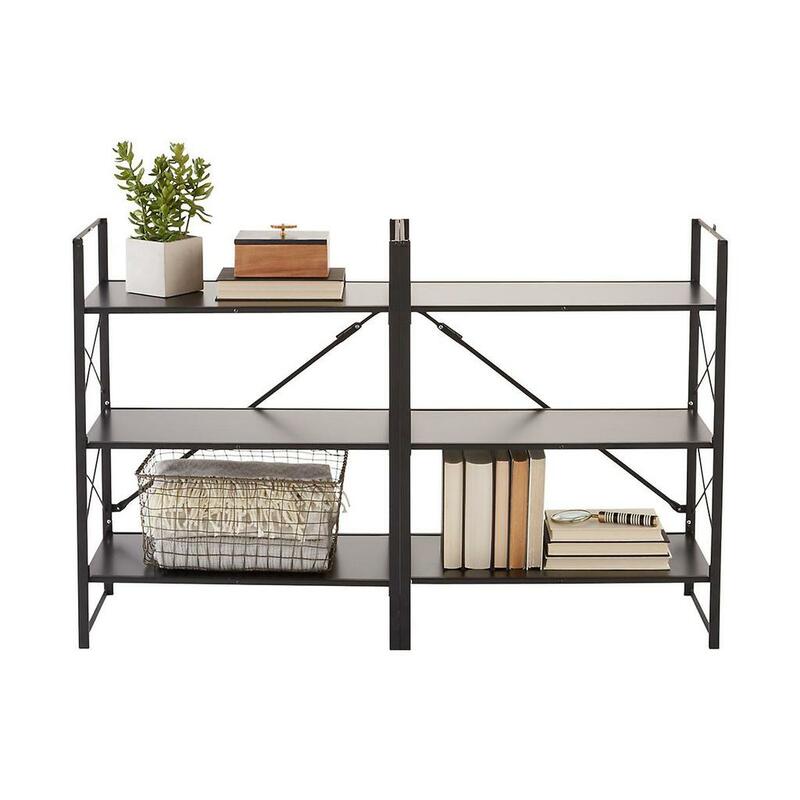 Get tall shelves for your room that aren’t too wide and lots of hooks for your walls. Raise your bed up. 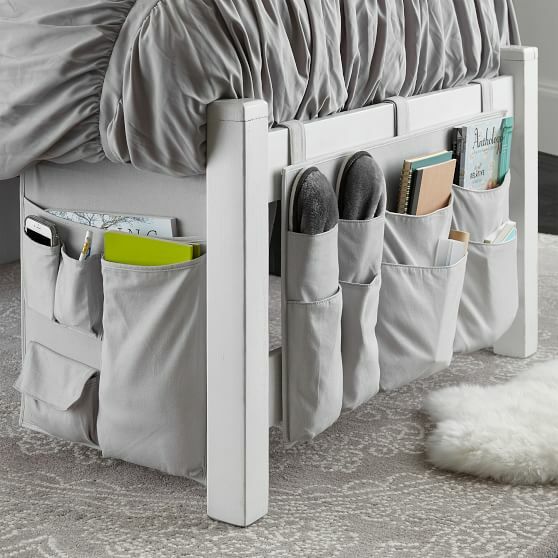 A great space to store stuff that you don’t use very often is under your bed. Definitely buy a set of bed risers and get some containers for under-bed storage to make the most of that space. Get portable storage. Take into account the weight and portability of every storage container you buy. Ideally, you want to be able to move without unpacking much stuff. If you can find durable containers with handles, it will make moving in and out of your dorm so much easier. 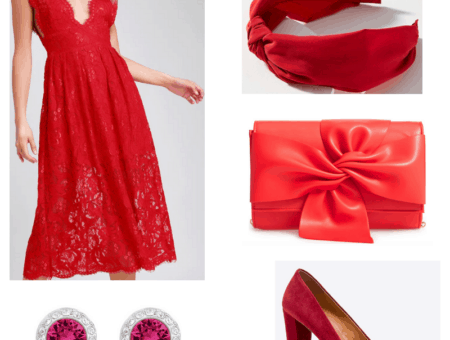 Get measurements. For storage containers and boxes, you’ll be fine. But if you’re planning on purchasing a set of shelves, get out your measuring tape! There’s nothing worse than purchasing and putting together a set of shelves that won’t end up fitting in your space. There are so many creative storage solutions these days! 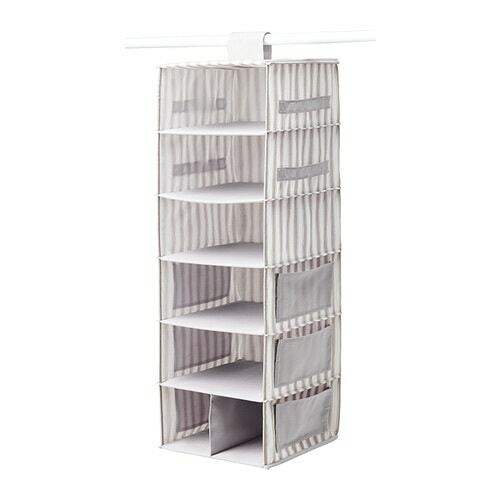 This bed frame hanging canvas organizer can easily hold books, your phone, and plenty of other small items. If you don’t have space for a nightstand, this little guy will do the trick. If you DO have space for a nightstand, get creative. It doesn’t have to be a traditional bedside table. 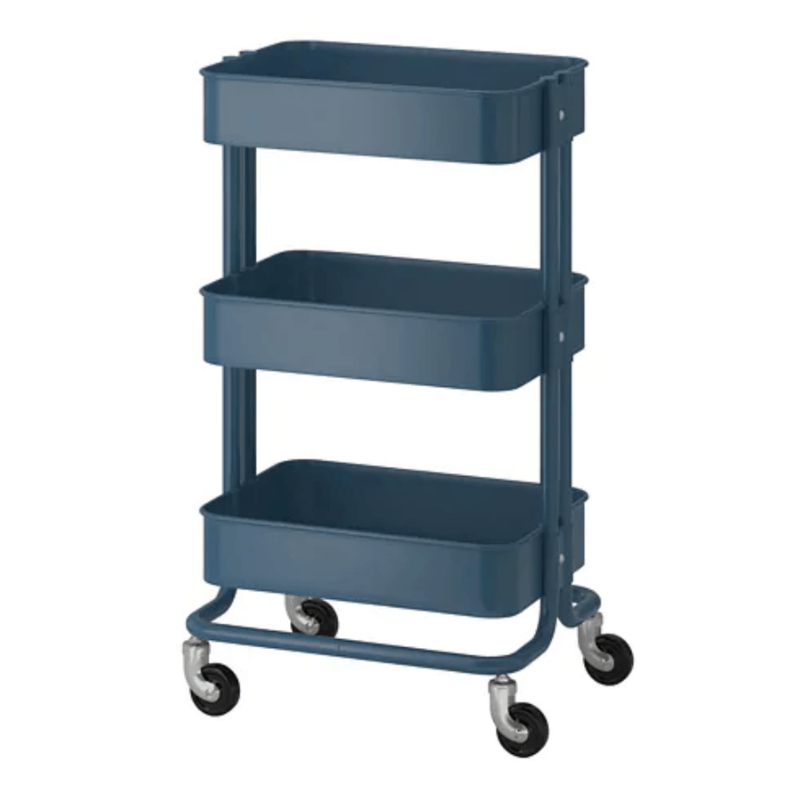 A utility cart, like this one from IKEA, would be cute, unconventional, and multipurpose! 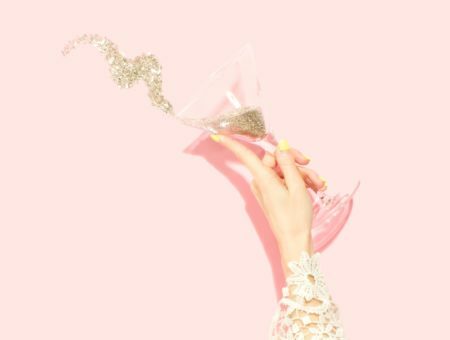 Don’t let the bottom of your closet become a heap of shoes; it can damage them and you’ll spend far too much time searching for matching shoes. A stylish shoe storage system like this one, will improve the quality of your life. Shoes are also great items to go under your bed! 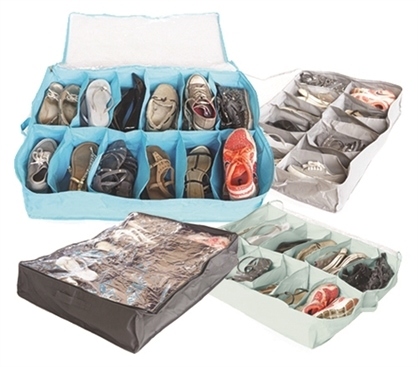 Zipper-top shoe containers will keep you organized. Bonus: they can be used for scarves, underwear, and loads of other things! These modular storage cabinets will work wonders in a small space. 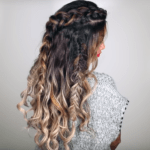 They are mix-and-match and see-through so you’ll be able to see exactly what you need! The back of your door can be a functional space too! 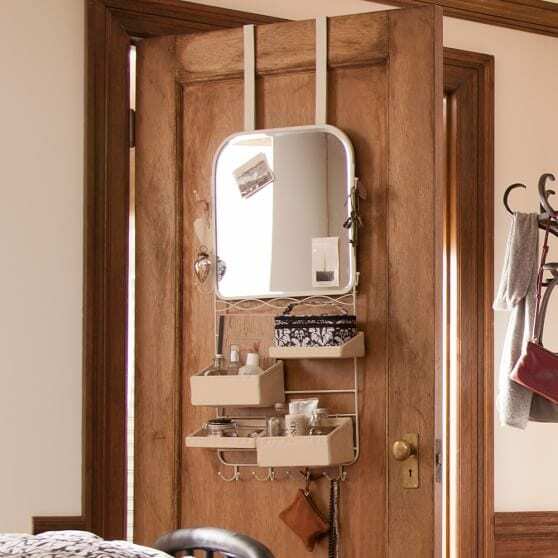 This over-the-door hanging mirror has cubbies and hooks, ideal for hanging your hot hair tools and storing your makeup, which can get really messy really quickly. 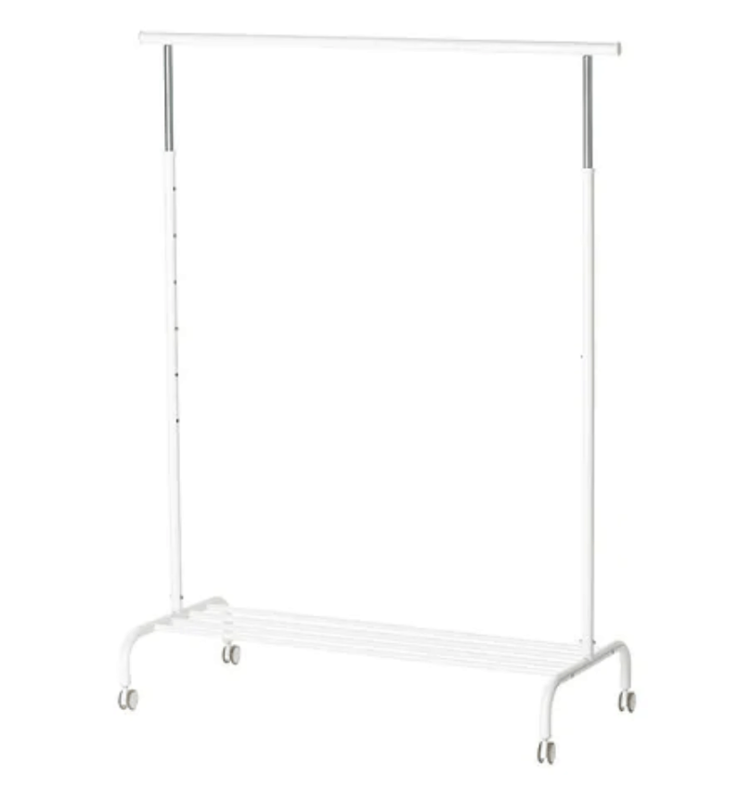 If you have space in your room but not in your closet, consider a hanging rack for your clothing! This one has wheels so it’s easy to move around. 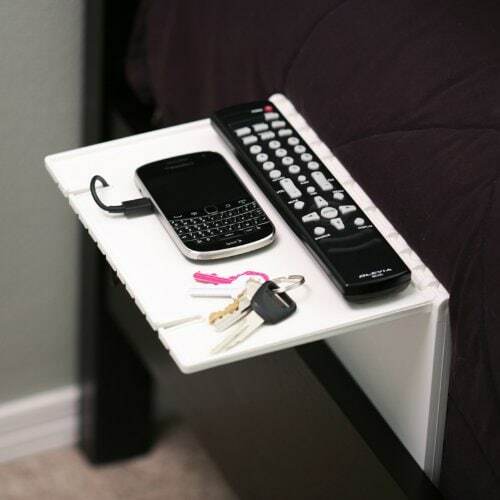 Who knew you could install a little shelf for your phone, keys, and chapstick into your bed frame without having to drill any holes? 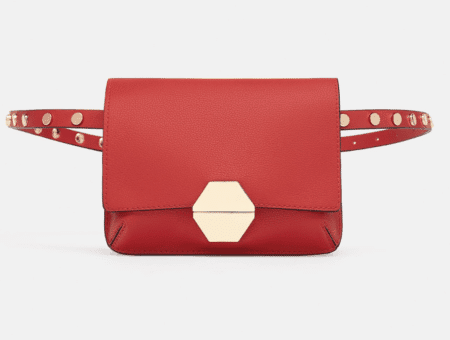 This super-small-space-functional piece is on my shopping list. 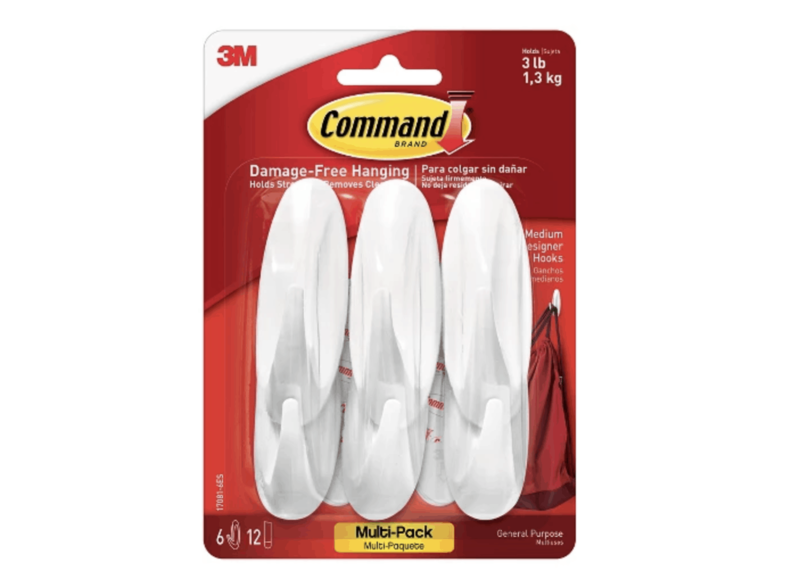 Take it from me: buy some command hooks. You’ll be able to find tons of little nooks and crannies to hang them for your coats, necklaces, curling irons… the possibilities are endless! This shelf system is arguably the coolest thing I’ve seen all year. It can be either horizontal OR vertical, depending on what works best for your space. 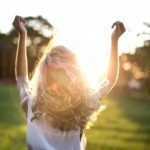 When you move out of the dorm and into another place, you can take it with you and it will fit that space as well! 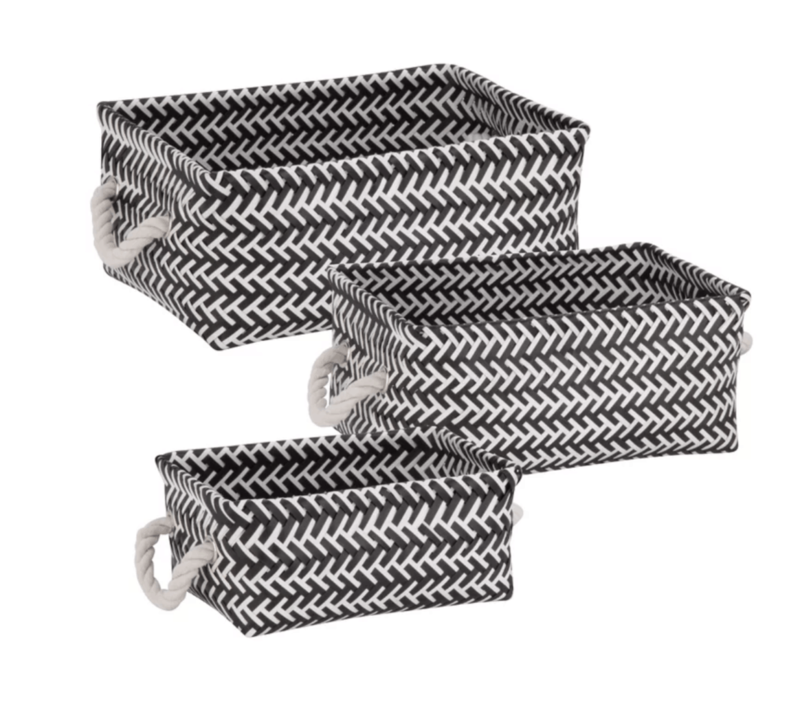 How cute are these storage bins? You’ll need lots of bins, so you might as well make sure they’re funky and fun. 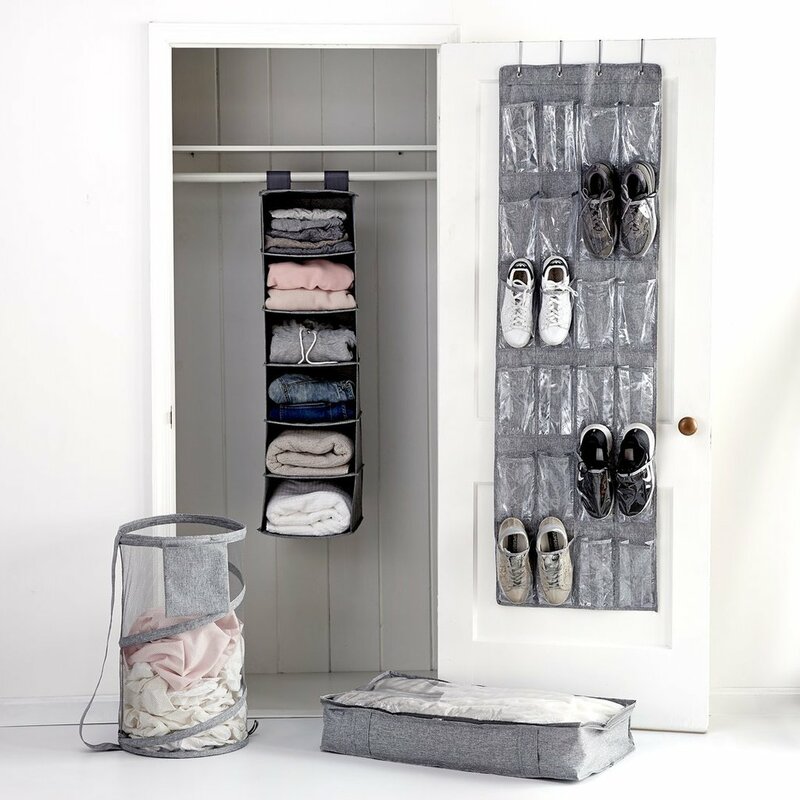 Hanging closet organizers like this one will change your life, especially if you don’t have a decent dresser. Use them for towels, jeans, sweaters, or even footwear. 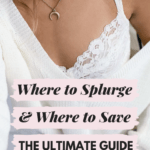 Now that you have an idea of what you’ll need for storage in your dorm room, be sure to check your school’s website to find out how big your room will be, and also talk to your future roommate to find out what they’re bringing. Then shop accordingly. Click below for the next part in this series, where we get into the fun stuff – decorating your dorm! Editor’s note: This post was originally published in 2007; it was completely updated and revamped in 2018 with new photos, items, and information.